One of the few survivors of an epidemic that has wiped out most of humanity, at the start of The Last of Us the player controls Joel, a gun smuggler living in a quarantine zone in Boston. Caught sideways in a deal with another gunrunner and an underground rebel group called the Fireflies, Joel and his business partner Tess have no choice but to smuggle a young girl named Ellie to a point outside the quarantine zone. 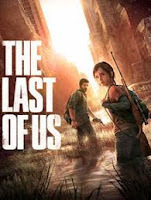 Fate intervening in a dramatic way, Joel and Ellie find themselves on the run, trying to stay one step ahead of infected people and government forces, while getting themselves to safety. That is, until Ellie reveals her secret. From a road trip to Pittsburgh to the mountains of Colorado and beyond, the pair’s relationship and will to survive are put to the test at every step as they try to make good on Ellie’s secret. Michael Swanwick is one of the most inventive, non-conforming writers on the market. Though starting his career with a fairly straight-forward novel (In the Drift), he has slowly and steadily turned his imagination and spirit loose, culminating most recently in the idea-explosion that is the Darger and Surplus novels. It is thus in short fiction that one finds Swanwick at his most focused and careful. And the relative limitations are beneficial. I’m on the fence, but I would listen to arguments that short stories are, in fact, Swanwick’s greatest asset. 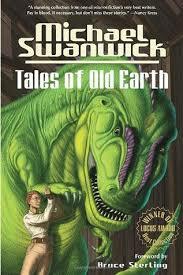 Tales of the Old Earth, Swanwick’s 2000 collection, is nineteen potential reasons. Opening the collection is “The Very Pulse of the Machine”. An abstract riff (natch) on a Wordsworth poem, the story tells of the astronaut Martha and what happens after her vehicle has an accident on the surface of Jupiter’s moon, Io. Her teammate dying in the crash, Martha elects to attempt to drag the body across the moon to their base. Voices that are either the AI in the dead body’s vacsuit or in Martha’s head accompanying Martha every step of the way, things start to look dire no matter how much meth she huffs, the ground around her even seeming to come alive. In perhaps the best written yet most Weird story in the collection, “Mother Grasshopper” tells of the strange happenings to a young man part of a colony on a space grasshopper (yes, space grasshopper). Confronted by a magician/god one day, he is compelled to follow the man across the land, spreading pestilence and disease. 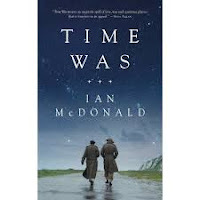 A fortuitous meeting one day changes his direction, but perhaps not his will. Fully in its third wave (hopefully nearing its end), its fair to say steampunk has begun to exhaust itself. We need a break for it to revitalize. Its components and devices have been deployed to the point of achieving stereotype status, and it has been combined in the majority of ways possible with other genres. Gone are the days when steampunk was unaware it was steampunk, and originality along with it. But every once in a while a book will poke its nose from the crowd and say: ‘Hey, novelty is still possible. 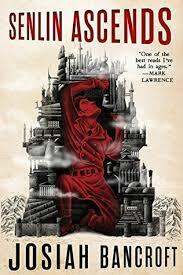 Steampunk is still viable.’ Welcome to Josiah Bancroft’s wonderful debut Senlin Ascends (2013). Set in the Silk Age, Senlin Ascends tells of the adventures of Thomas Senlin, a school headmaster from the countryside. Falling in love and marrying the energetic, intelligent but younger Marya, the newlywed couple decide to take their honeymoon in a place Senlin has long studied and taught his students about but never visited: the tower of Babel. Not the tower of biblical fame, the Silk Age’s tower is of a different age, but remains a massive structure rising into the clouds like layers on a cake. The first days of the honeymoon not going as planned, Senlin is separated from Marya almost directly after arrival, forcing him to set out in search of her. Following clues and bits of information provided by people who saw her, Senlins slowly ascends the ringdoms of the tower looking for his lost wife. Its convolutions threatening to derail his quest at every step, Senlin must dig deep within himself to find the fortitude necessary to meet its challenges. Primus was one of the first bands I picked up as a young teenager looking to find music beyond the radio. And I’ve stuck with them since. To say the band are ‘unique’ is only to scratch the surface. A cross of Frank Zappa, Pink Floyd, The Meters, and something only Primus brings to the table, bizarro funkonautics hits a little closer to home—but still does not quantify. While Larry Lelonde and Tim Alexander (and the various other talents which have been with the group over time) are singular in their own right, few would argue Les Claypool is not the driving force behind the band. Leading the trio, working on solo projects, and collaborating with a number of other musicians, the man has a creativity at work which seems unstoppable. 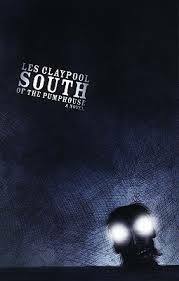 In 2006 Claypool looked to extend his ripe imagination into the land of fiction, South of the Pumphouse the result. One of the ongoing motifs in Primus’ music is fishing. From “John the Fisherman” to “Fish On”, “The Ol’ Diamond Back Sturgeon” to “The Last Salmon Man”, Les and crew have regularly sung about their hobby. Naturally, South of the Pumphouse is a tale about a couple guys plying the waters of San Francisco’s San Pablo Bay for the grand daddy of all sturgeons. Two brothers, Earl from back woods California and Ed the younger brother who moved from the countryside to be in the big city, decide to go on a day-long fishing trip in the wake of their father’s death. The reunion going well as the brothers drive to the Bay, buy bait, and prepare to launch the boat, things change when Earl’s friend Donny shows up to join them. Donny a fun-loving, redneck extraordinaire, the fishing trip initially goes smoothly with joking and laughter, each party indulging in their drug of choice. But as the day stretches long and the personalities begin to clash in the tight confines of the boat, things take a turn. Looking at Michael Swanwick’s oeuvre, one sees an interesting arc. Opening in territory of a relatively realist nature (In the Drift), wandering for a time through science fantasy (almost magic realist) land (Stations of the Tide, The Iron Dragon’s Daughter, and The Dragons of Babel), before arriving in decidedly, fantastically non-realist territory (anything related to Darger and Surplus), the rocket of Swanwick’s imagination counting down, taking off and exploding is visible. 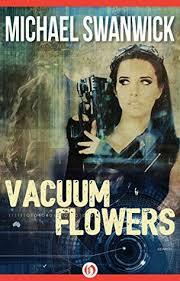 Vacuum Flowers, Swanwick’s second novel published in 1987, should be considered ignition. Vacuum Flowers opens on a tense chapter drawn straight from Cyberpunk 101. Rebel Mercedes Mudlark (yes, her real name) awakens in an unfamiliar body, tied down in a hospital bed. Escaping with some neural-transmitter slight of hand, she meets a mysterious man disguised in wetware, who takes her to the home of a mysterious woman who informs Rebel she is sharing the strange body with its original owner, Eucrasia Walsh, and that the corporation funding the hospital Deutsche Nakasone wants both of them back, and badly. Rebel going on the run, she tries to sort out her and Eucrasia’s situation while evading capture. Is there anywhere in the solar system she can get help, however? Though not the most common, pirates are certainly one of the more easily recognized motifs applied in books, films, and games. From cartoony fun to treasure-seeking adventure, the success of these offerings depends on a lot of elements—approach, style, storyline, etc. 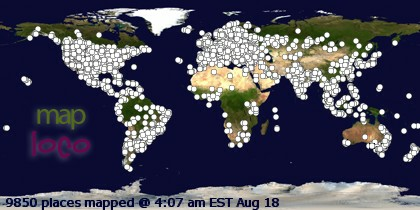 among them. There is a world of difference between Disney’s Pirates of the Caribbean films and Robert Louis Stevenson’s Treasure Island. Ubisoft’s 2013 entry into the world of video game pirating, Assassin’s Creed: Black Flag, is one of the best incarnations of the motif I’ve ever experienced, but is not without missed opportunities. 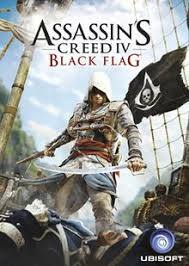 If the video gamer wants to go out pirating, there is nothing like Black Flag. An open world (perhaps better phrased “open sea and archipelago”) game, it delivers pirating in spades. You want a large number of places to travel and explore and sea to navigate, the game feels positively huge. (It feels like the biggest game I’ve ever played, even though it may not be in reality.) You want ships blasting cannons at one another on the high seas, cutlass fights on deck, and swinging through the rigging on ropes, Black Flag delivers this, as well. You want colonial Caribbean, from coconut palms to stone churches, shanty shacks to flintlock rifles, Black Flag offers oodles. You want treasure hunts, plundering, and raiding for gold, Black Flag has numerous side missions and quests that have the player doing a lot of fun, interesting stuff that either contributes directly to the rpg elements (e.g. crafting for both the main character and his ship) or simply getting rich. In short, in Black Flag Ubisoft have captured the overwhelming majority of the aspects that make pirating, pirating.